There are dozens of appropriate themes when it comes to planning a party for kids but throwing a celebration that includes Buzz Lightyear and the gang will always be a winner. Toy Story 3 birthday party supplies are easy to find and there are plenty of ideas that will make the day even more special. Party invitations can be shaped like spaceships or cowboy hats with all the necessary information including date, time and location printed inside or on the back. Decorate the room with streamers, balloons and banners. The good thing about this particular theme is that practically any color combination will work. There is no right or wrong color scheme. Any assortment of bright colors will make a festive background. This is a good opportunity to use up any random leftover supplies that may be hanging around from past parties. Mr. Potato Head can be used to create a game similar to Pin the Tail on the Donkey. Find a poster of the popular character or locate a printable image online and enlarge it. Cut noses out of thick construction paper or thin cardboard. Have the children take turns trying to get the nose as close to its proper place as possible while blindfolded. 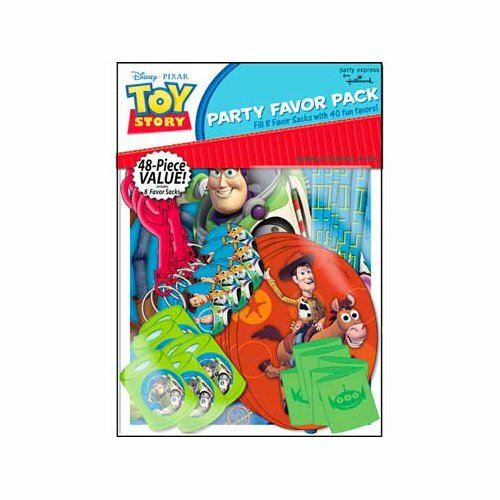 For the snack table, there are Toy Story 3 party packs that include plates, napkins, cups and a tablecloth featuring images of Buzz, Woody and other characters from the movie. People who are creative bakers will be able to find character cake pans that will allow them to cook up something that looks like it came from a professional bakery. Many local bakeries and grocery stores will be able to prepare a cake to your specifications if you prefer not to make one yourself. Cupcakes offer a good alternative to cake because they are simple to serve and easy for small hands to manipulate. Any child will love the idea of celebrating his or her birthday with the cast of Toy Story 3. You are currently browsing party ideas for Birthday Party Supplies.